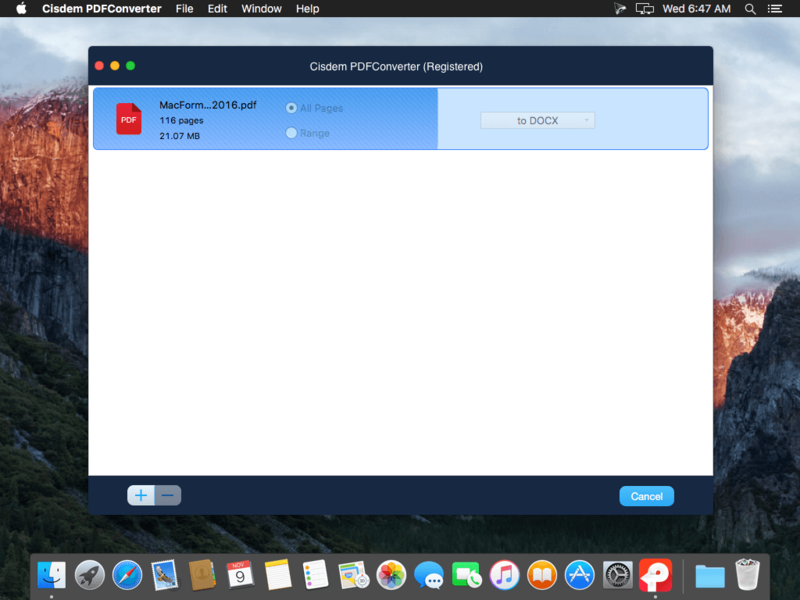 Cisdem PDFConverter lets you stop retyping PDF documents with complex layouts and graphics today. It can quickly and accurately convert PDF files into Microsoft Word (.docx), PowerPoint(.pptx), ePub, RTFD, plain text, HTML, Keynote, Pages, images, and more - with accurate, fully-formatted text content, layouts, formatting, columns, tables, and graphics. PDF to Docx and Pages makes your PDFs editable and searchable. No more tedious retyping and reformatting. PDF to TXT, RTFD, ePub lets your enjoy better reading experience on e-book readers or portable devices like iPad, iPhone, etc. 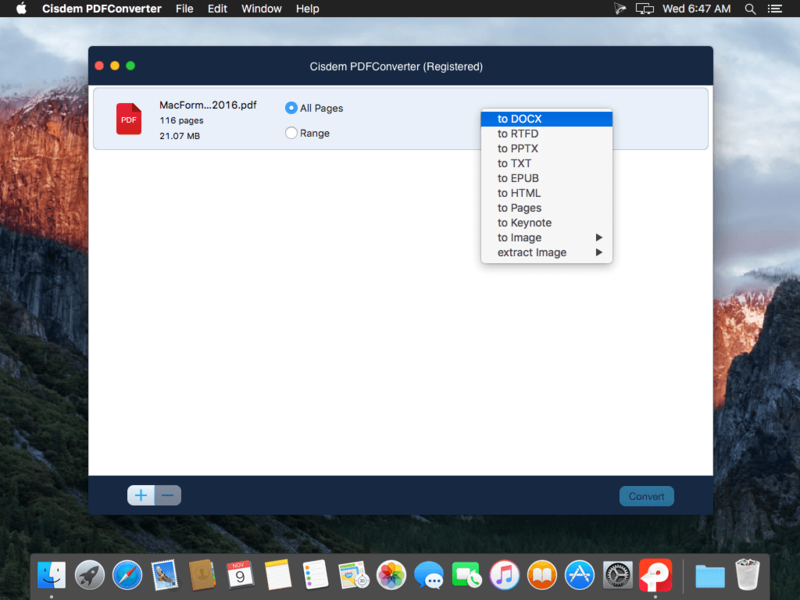 PDF to Images turns your PDF to JPEG, PNG, TIFF, GIF and BMP format, as well as extract images from PDF. PDF to HTML saves PDF as HTML web page - and easy way to publish and share PDF content on the web. PDF to Keynote and PPTX intelligently transforms PDFs into stunning presentation files that are easy to edit and update. 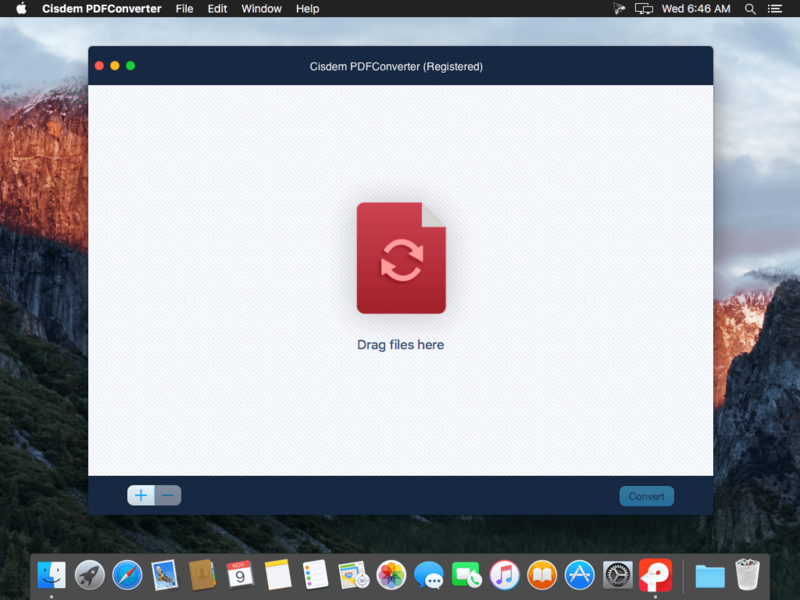 -Support batch conversion: drag-and-drop up to 200 PDF files to the queue of the PDF converter and convert them at one time in a single click. Support page selection: convert any particular pages (e.g., 1,5-10, 21 or all pages) so that you can just export the text you need and save your time. Support encrypted PDFs conversion: Even the password-protected PDF files can be converted efficiently. Support preview before conversion: preview changes to the PDFs and page ranges before conversion to make sure that it looks exactly as you wish. 100% original layouts: replicate all necessary elements in original PDF files, including text content, layouts, formatting, tables, graphics, etc.